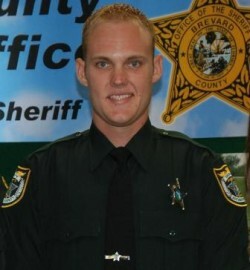 FTO Bret Cook became a member of the Brevard County Sheriff’s Office in 2006. Since that time, he has worked at North Precinct, South Precinct and is currently assigned to the West Precinct as a Field Training Officer. In addition to working on patrol, he is a member of the Brevard County Sheriff’s Office SWAT Team. In the 5 years he has been with us, he has proven to be a very reliable and courageous member of the agency. He has provided outstanding service since he was hired in 2006, but he had a truly exceptional year in 2010 and was recognized many times for excellence. Of the more than 500 incredible deputy sheriffs in this agency, he was recognized as the Deputy Sheriff of the Month twice in 2010, a rare accomplishment. 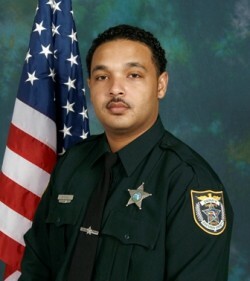 In a single year, he was awarded the Meritorious Service Award for his investigative skills in a homicide case, a Life Saving Award for saving the life of a drug overdosed teen and the Sheriff’s Office’s highest and most prestigious award, the Medal of Valor for his involvement in a shooting incident where an armed suspect was threatening to kill his family. Through all Deputy Cook’s activities, he displayed exceptional dedication, courage and professionalism and the entire BCSO family is proud to name him the 2010 Deputy Sheriff of the Year. Corrections Deputy Josh Butler has sets the standard for excellence in the corrections profession. Although he had a busy 2010, he was ultimately selected to receive this prestigious recognition for taking immediate actions which saved the life of an Inmate. In June of 2010, Corrections Deputy Butler was working in Charlie Cell Block of the 500 Pod when he noticed an inmate in severe distress, gasping for air. He quickly assessed the situation and realized that the inmate had something lodged in his throat that was obstructing his airway. He remained calm and immediately began to perform abdominal thrusts on the inmate. After multiple thrusts he was able to dislodge the obstruction, clearing the airway and allowing the inmate to breathe.Because the inmate’s airway was fully obstructed, his actions saved the life of the inmate and just 2 or 3 more minutes of distress would have resulted in the inmate’s death. In addition to being named the 2010 Corrections Deputy of the Year, Corrections Deputy Butler was also awarded the Sheriff’s Office Life Saving Award. Shawna Griffin has been employed with our 911 Communications Center for 20 years and has been a Shift Supervisor for the last 15 of those 20 years. During that time, she has developed a close rapport with co-workers and her ability to communicate with citizens far exceeds expectations. She has been commended on many occasions for her compassionate approach to citizens, as well as her ability to serve as a leader in this agency. She encourages her team to always do their absolute best in one of the toughest and most challenging professions. In addition to supervising a shift, she has taken the initiative to coordinate the Outreach program for Communications for the last 4 years. This program is designed to find applicants who have the right stuff to be a successful 911 Communications Officer. Her efforts have made a real difference in the overall quality of our 911 service. 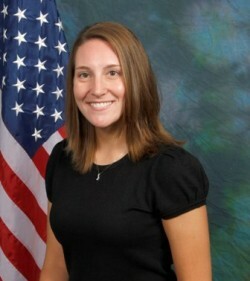 She is also a member of the regional Child Abduction Response Team and recently completed the FDLE Instructor Techniques course. She was also actively involved in the Sheriff’s Office United Way campaign which yielded great success. She is revered as being the “best in the business” by her peers, supervisors and staff. 2010 was a very challenging year for the Crime Scene Unit due to a large case load and higher than expected employee turnover. As a result, CSI Kate Hart’s work schedule was intense, but she went to work every day and every night with a smile on her face and the best attitude you could imagine. So how did we thank her? With even more responsibility. We needed her to train the incoming crime scene technicians in addition to doing everything else she was doing. And once again, she did it with a great attitude. 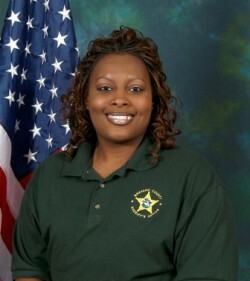 In 2010, she either assisted or was the lead crime scene investigator in most of Brevard County’s homicides. In addition, she also responded to164 other important criminal cases. In what little off time she has, she uses it to volunteer for her community. She is the head coach for the Merritt Island High Schools girl’s local lacrosse team. In May, she received a letter of appreciation for assisting in the writing of the “Solving Cold Cases with DNA” grant. In June, she received a letter of appreciation for her efforts which assured a successful prosecution of suspects associated with a narcotics grow house. In August, she was awarded a Commendable Service Award for her assistance to the Cocoa Police Department to exhume the body of a murder victim, a complicated process that took 11 days in an open field with temperatures exceeding 100 degrees. She has also been recognized by State Attorney Norm Wolfinger for her work with their office which helped assure successful prosecutions. 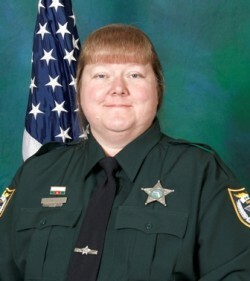 Deputy Sherry Pope has been employed by the Brevard County Sheriff’s Office for more than 20 years. She has utilized her position in the Sheriff’s Office working in the Dependency Court at the Moore Justice Center to make a lasting difference in the lives of the children and families. She shows incredible compassion to those in need, especially children. One such example is when she met a 15 year old girl who has spent the majority of her life being shuffled through over 60 various foster homes. Seeking to provide her some form of stability, she has called her on a regular basis, celebrates her birthday, spends time with her on the weekends, takes her out for lunch or dinner, purchases clothes for her, listens to her problems, and provides a positive influence on her life. Reserve Deputies are fully certified law enforcement officers, but most have full time jobs in the private sector. They want to serve their community as law enforcement officers and do so free of charge without any pay or benefits. All of our reserves are extremely special people and our county is blessed to have them. 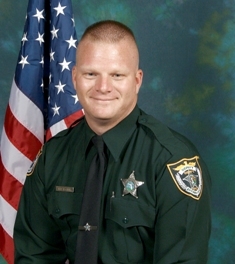 Reserve Deputy Doug Postlethweight volunteered 681 hours and worked 21 special details during 2010 . 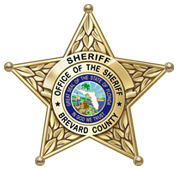 He is committed the Sheriff’s Office and the citizens of Brevard. He assists with Ag/Marine and road patrol on a frequent basis. Regardless of what is asked of him, the answer is always yes. According to the supervisors of the Reserve Unit, he has been an excellent deputy that has proven he can be counted on and they are extremely proud of him. Volunteers make up an important part of the Sheriff’s Office. 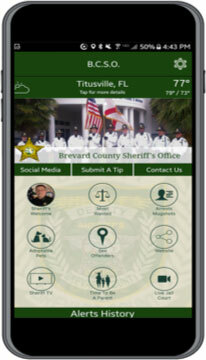 Their efforts make Brevard County a safer place and they save taxpayers hundreds of thousands of dollars each year in no cost public safety services. Although, every one of our volunteers is deserving of our gratitude, it is always an honor to select the year’s top volunteer. 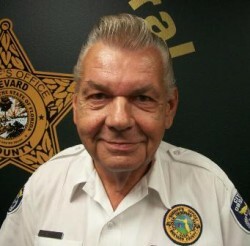 Charlie Grimm is assigned to the Cape Canaveral Precinct and performs an extraordinary service for the Brevard County Sheriff’s Office and the Citizens of Cape Canaveral. He has volunteered to work very major Canaveral event in memory. Before retirement, Charlie was a full time Corrections Officer with the Sheriff’s Office for many years. After a few years of retirement, he decided to volunteer his spare time with the Cape Canaveral COP program. Charlie’s spare time quickly became a full-time commitment. In 2010, he logged almost 2,000 volunteer hours and logged close to 10,000 patrol miles. 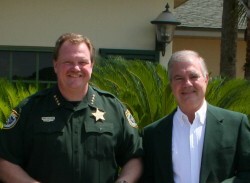 The Brevard County Sheriff’s Office has selected Bob Stork CEO of Communications International, Inc. as the “2010 Citizen of the Year” for Brevard County as a result of his caring and compassionate actions for Brevard County’s Children by supporting many Sheriff’s Office initiatives to protect them. His generous and unending support of Crosswinds Youth Services which includes their Children’s Shelter which gives children a loving environment safe from abuse. Bob Stork, and the entire C I I Team under his leadership, has made a real difference in the lives of children in Brevard County.